Pets are an important part of any family. Our pets bring us happiness, entertainment, and comfort during good times and bad times. All the joys of being a pet owner do come with a great deal of responsibilities to ensure the animal is healthy and happy. Dogs need to walk, cats need their litter boxes cleaned, and birds need to have access to plenty of food and water. So, what happens when you are recovering from a surgery and you can’t take your dog for a walk? Or who takes your cat to their vet appointment if you are receiving Hospice care? 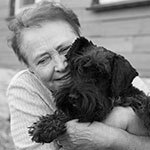 Assisted Home Health and Hospice Foundation’s program “Hands to Cuddle, Paws to Love” strives to help support in-home health care patients with their pets. 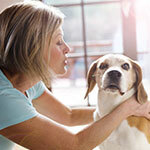 As a pet owner, the responsibility to support your pets’ needs is vital to keep your pets happy and healthy. Being a pet owner is like a second job in many respects since you have daily responsibilities that cannot be ignored. 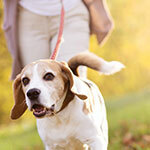 Feeding, walking, and cleaning up after a pet are some of the basic chores when owning a pet. While these tasks might not seem too difficult for a healthy individual, a patient receiving in-home health care many not have the ability to perform these tasks. Assisted Home Health and Hospice Foundation’s “Hands to Cuddle, Paws to Love” volunteers are able to take on these tasks to make sure that our patients’ pets receive the care they need. TIP! : According to an article from Pet Safe, regular exercise helps keep your dog happy and healthy, but it also helps them develop positive behaviors. Patients receiving in-home health care go through a variety of changes regarding their daily lives. Caregiver Services can offer trained and professional caregivers to assist with house hold choirs such as doing the laundry or assisting with household cleanings. These activities that were once simple and easy can become exhausting and difficult and could require assistance for in-home health care patients. The ability to take a dog for a walk or clean a bird’s cage can become quite a trying task, too. Much like caregivers for patients, “Hands to Cuddle Paws to Love” offers services for patient’s pets. TIP! : Maintaining your pet’s diet and rationing their food will help your pets manage their weight and prevent weight-related issues later in their lives. Understanding what goes into being a pet owner is how Assisted Foundation’s “Hands to Cuddle, Paws to Love” focus its efforts to help provide patient’s pets with care. Our loving group of volunteers helps offers services such as, Grooming, Companionship, Walking, Feeding, Veterinarian Care and Placement. TIP! : House hold animals should be regularly seen by a vet to stay up-to-date with their vaccinations and health screenings. If you are receiving in-home health care services from Assisted Home Health and Hospice and have a pet that needs support while you are under our services please reach out to our foundation by calling (805) 379-3656. This article was posted in Assisted News, Health Care News.